Wrongful death claims that stem from auto accidents also have statutes of limitations and stop people from filing lawsuits outside the allotted time period. Spouses and children who have lost loved ones have generally two years to bring their cases to the court room. California residents should also know that if they’re in a car accident with a vehicle from Los Angeles Car Accident Lawyer, then they need to have paperwork filed with six months of the accident. This is a very short turn-around time, but it is common for most lawsuits brought against the government. People need to be aware of this because if they’re planning on bringing an auto accident lawsuit against government vehicle, they need to act fast. Research insurance: In some cases, your insurance company and the other person’s insurance may cover your property damage and injuries. Before filing anything, check with these entities to find out if filing a suit is needed to procure compensation. If it is, keep reading. Gather evidence: The more evidence you have of another person’s negligence, the better. Start by getting a copy of the police report and contacting any witnesses to get their statements. You should also have pictures and other pieces of evidence if necessary. Announce intent to file: If you’re serious about your claim, you should notify the person you’re planning to sue. It’s important to know that this does not mean that you have to file. You can change your find. Decide to hire a lawyer: An attorney will help you every step of the way through the filing process and will be by your side throughout the ordeal. Once you hire your lawyer, he or she will be ready to move you onto the next step, and you will file the lawsuit. 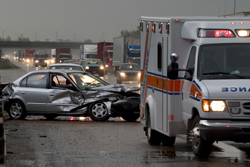 If you’ve been injured in an auto accident, don’t wait too long before you file a suit. Though you may have other issues on your mind, you don’t want to wait before it’s too late. If you need help, you can always speak to a lawyer for advice. If you have a loved one who has been injured in an auto accident, you will need a Sacramento auto accident attorneywith experience. Call Moseley Collins at (916) 444-4444 for a free consultation. Moseley Collins is a Sacramento attorney serving those badly hurt throughout Northern California. There is absolutely NO FEE to discuss your case and there is absolutely no fee unless we win and get you the money you are entitled to. We are on your side and know what to do to get you compensation and justice.